When our family recently welcomed a new baby girl into the world, there was great hope and expectation this child will have a wonderful, happy, fulfilling life. Maybe she will even impact the world in a marvelous way. If there were not this hope, perhaps little Brooklyn would not even have been conceived. When my grandson graduates from school this month, there is every hope he will go on to do great things, make a good living, invent, discover and find fulfillment. When a couple makes their wedding vows, they have all expectation and hope they will be together until the end of life. If they thought there was any possibility of divorce or unhappiness in this union, why bother? Mature adults are all jaded enough by life to realize not all dreams come true. If we’re kind, however, we’ll not mention the fact when life’s novices are bubbling over with enthusiasm about their latest project. If we’re optimists, we might even let ourselves catch the fever. Hope is the basis of life. When a drowning man gives up hope, he gulps water. A person suffering critical illness or extreme mental duress will only live as long as she has hope of recovery. During the Second World War, Anne Frank, hiding in an attic and fearing for her life, is said to have written in her diary, “Where there is hope, there is life.” This young girl, wise beyond her years, realized that hope was the only thing enabling her family to go on fighting the odds, day after day. Often, when I scrawl my name on a greeting card, I’ll add the blessing, “Love, joy, peace and hope.” I mean it sincerely. Hope equals life, and if I wish you well, I wish for you hope. 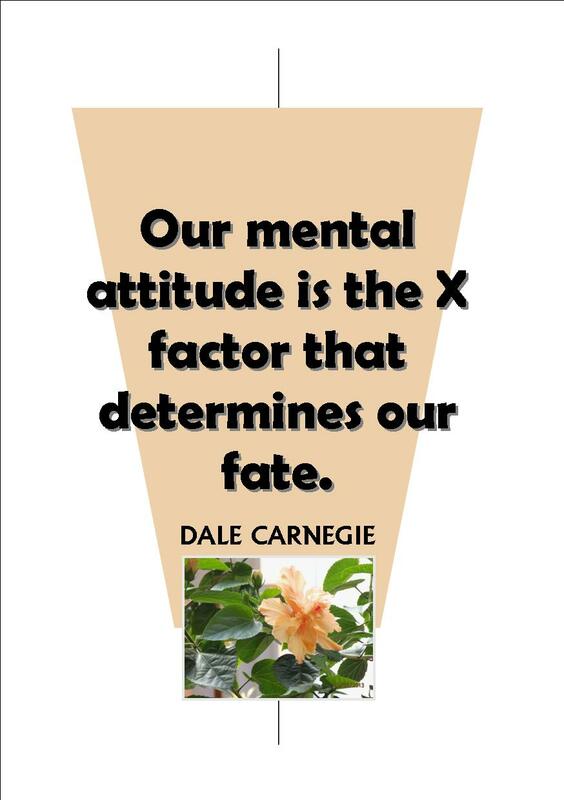 This entry was posted in Short Takes on Life and tagged Anne Frank, attitude, Dale Carnegie, hope, optimism. Bookmark the permalink. Janet, I truly needed this post today, Thank you so much. Love to hear that, Joan! Very well written my dear, so profound. I just came back to revisit this wonderful post and be re-inspired by it. It inspires ME to hear my musings might inspire others!